Can you guess which snake I am? 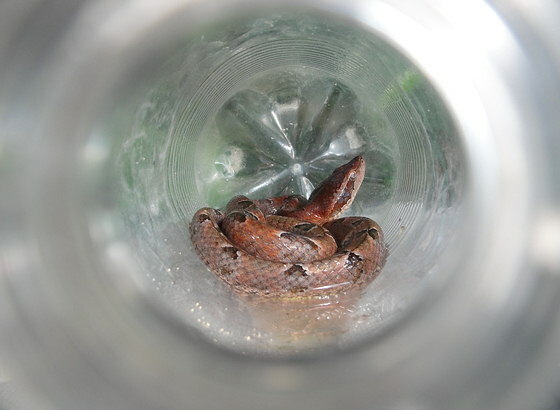 See if you can name this Thailand snake – it is in a plastic bottle and I stuck the lens right up at the opening and fired a few off. For many of you this will be child’s play, I’ll kill the comments on this page. You can write me if you think you know what it is.